Become one of the millions of people who enjoy bird watching from the comfort of home by following these bits of advice for feeding birds in your yard. Purchase durable feeder(s) that are easy to fill and easy to clean. Place the feeder(s) where birds have a nearby shrub or other plant with closely packed branches to escape to when they perceive danger. However if the protective cover is too close it can also be a detriment by providing a place where predators such as cats can lie in wait. Your feeder(s) should also be placed where you and other family members can easily see them and enjoy watching the birds that come to feed. There are many types of seed to place in your feeder(s) and each one has certain birds that prefer it over other types of seed. 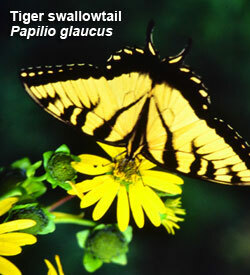 You can attract a wider variety of birds by offering several different types. However if you have limited space or are on a limited budget the one type of seed that is eaten by more kinds of birds than anything else is black oil sunflower. For more information about selecting bird seed see Choosing the Right Seed. Store your seed in a cool dry place and in a rodent proof container with a tight fitting lid such as a metal garbage can. 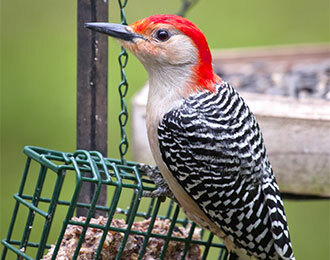 Beef suet is a high energy food source that often attracts woodpeckers, nuthatches and chickadees. The easiest way to provide suet is to purchase a hanging suet cage and pre-rendered suet cakes. 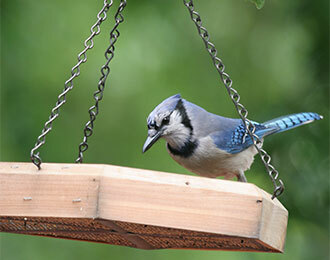 Try to be consistent in keeping seed in your feeders. However they do not need to be filled to the brim. A small amount of seed in each feeder is fine. 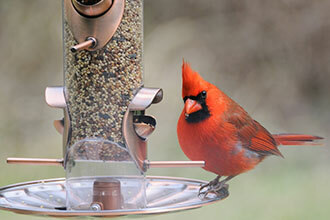 We recommend putting seed in feeders once a day with only the amount that will be consumed in one day. Of course certain types of feeders such as tube feeders need more seed to work properly. When adding seed try to remove from your feeders any old soggy seed that could become moldy and try to scrape off bird droppings because they can spread disease. And by the way, you don't need to worry if you are gone for several days without putting seed in your feeder(s). The birds will not starve. They have plenty of natural sources where they can obtain food. 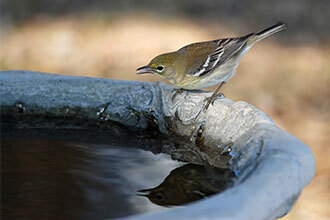 If possible, providing a source of water can make your yard a magnet for birds. The water should not be too deep. A gradual "beach type" approach into the water is best. Water can be kept from freezing by artificial heat or by keeping it moving. If squirrels are present do not despair. There are several types of feeders and feeder placement applications that can help deter these incredibly agile animals. A little ingenuity on your part may be necessary. In the end you may have to convince yourself to enjoy watching the squirrels as well as the birds. If birds are not coming to your feeder(s) the first step is to be patient. It may take some time for them to discover your yard. Birds make the rounds during the nonbreeding season and often move from place to place. Natural landscaping is the best way to make your yard attractive to birds. Make bird feeding more enjoyable by learning more about them. You can keep a yearly "yard list" or make notes on various things such as when different species first arrive in the fall and lastly leave in the spring.